Rakhi has many myths; some myths you might not have heard before. Rakhi has many myths connected to it like other festivals of India. There are some myths you might not have heard before. The most important evidence in history is the tale of Rani Karnavati and Emperor Humayun. Dating back to 1535 CE, Rani Karnavati, Rajputs were battling against Muslims. 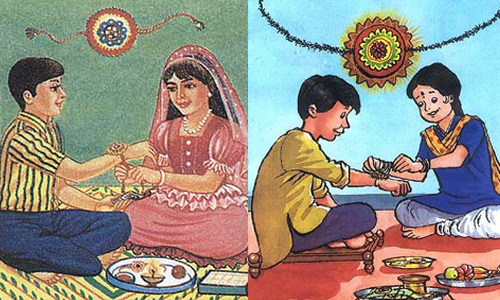 During that era, Rakhi meant a sacred binding of thread and affection of sisters for her brothers. 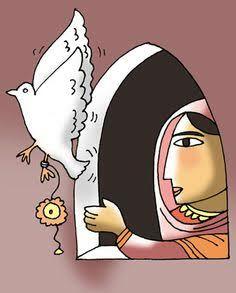 When Rani, widowed queen of the king of Chittor, came to know that there was no way to protect her army from the invasion of the Sultan of Gujarat, Bahadur Shah, the queen decided to send the Rakhi to Emperor Humayun. He got enthused by such gesture and decided to defend Chittor with his army. Another mythology is of Yama and the Yamuna. Their tale stands for the pure brother-sister affection and sacrifice. It offers every man the excellent view to consider every lady as a sister or mother. According to the mythology, Yamuna tied a thread of protection and love to her brother’s hand and bestowed mortality. Yama, the god of death was touched by the harmony of the festival and said that whosoever ties a Rakhi from his sister will attain the never-ending protection. The sacred festival of Raksha Bandhan has its mention in Mahabharata when Draupadi tied a band of love and affection around Krishna’s wrist. It is also deemed that Kunti tied Rakhi on her grandson Abhimanyu’s hand, in prior to the battle. People from different religions and faiths celebrate this auspicious festival on a full moon day which falls in the month of July or August. According to the folklore, it provides spiritual reasons to celebrate the occasion. With major transforms in life, this sacred Raksha Bandhan festival has gone through scores of changes. Raksha Bandhan has kept its splendour and revered sensation in modern times also. Everyone should celebrate this sacred festival of Rakhi with great enthusiasm and fidelity! !